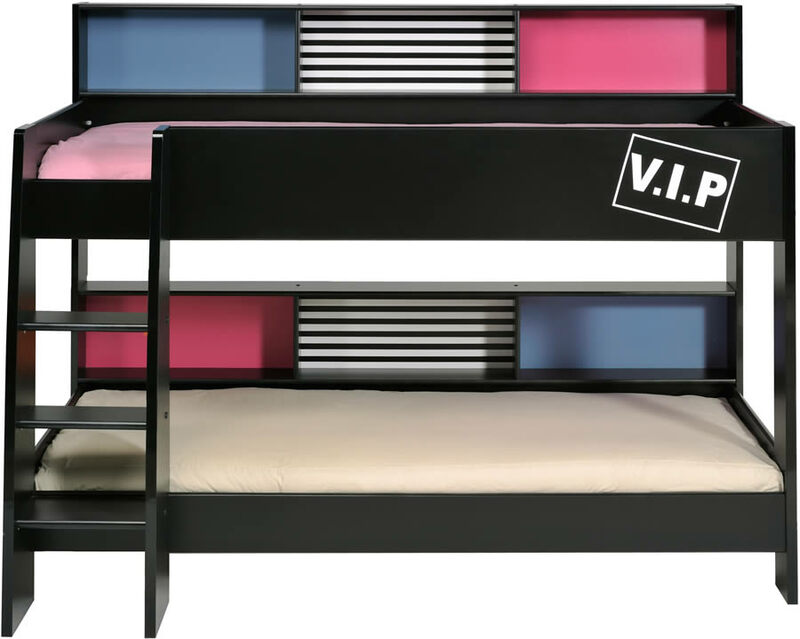 The Kids Avenue High Tek black bunk bed by Parisot features three shelving compartments with reversible coloured back panels and full width self above for both of the bunks sleeping areas. 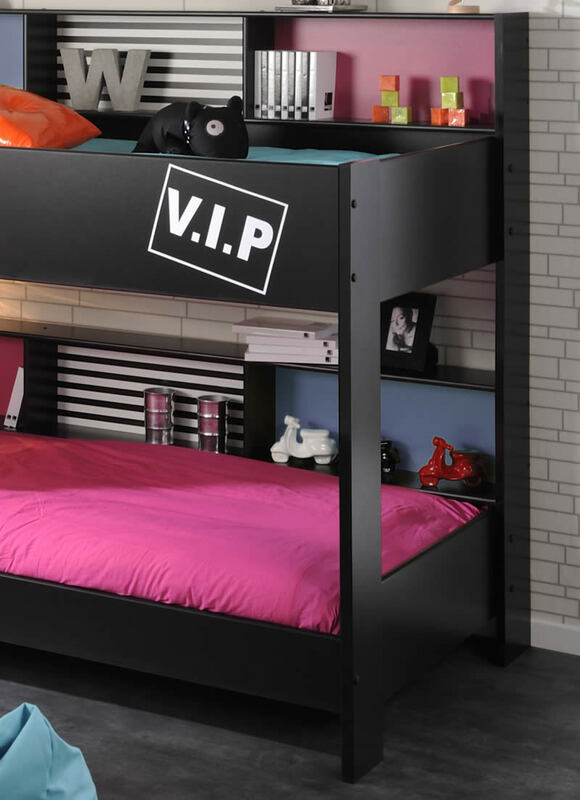 Your children can choose from a choice of colours suitable for boys and girls to personalise their own sleeping space. 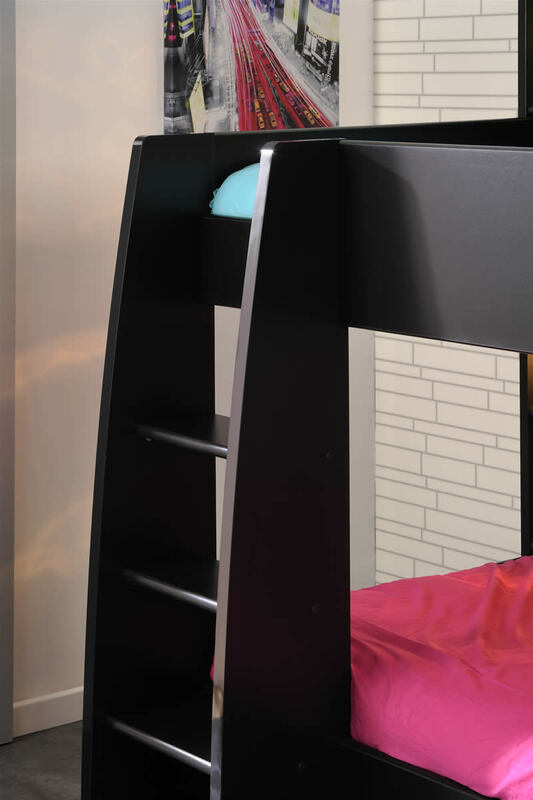 For access to the top bunk the High Tek ladder has three sturdy steps which offer a large max load capacity of 100kg. 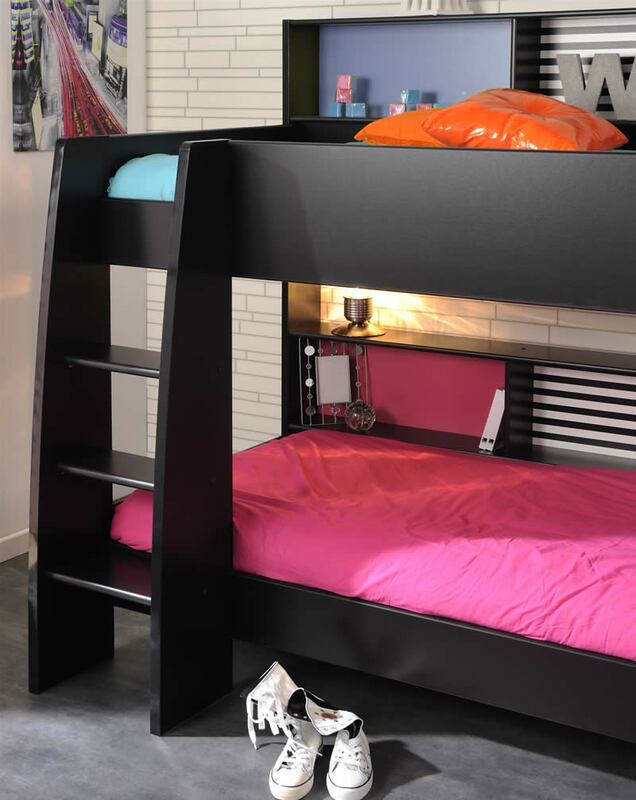 To allow the top bunk safety rails to be effective the maximum mattress height should not exceed 15cm. The VIP Motif seen in the main product image above is supplied as an optional sticker and does not need to be used.